I came across this pasta recipe on America’s Test Kitchen, which is one of Joanie and my FAVORITE websites! I watched the video and could almost taste the lemon and basil. My mouth was watering, I had to make it. I was slightly skeptical that it wouldn’t turn out very flavorful because it uses pasta water and a splash of heavy cream for the main ingredients in the sauce. Boy was I wrong! This pasta is a really good summer time dish. It’s very light and refreshing, tasting of lemony tartness and fresh basil! I’m in LOVE!! I usually tweak a few things in recipes to suit to my taste, for this one I doubled the parmesan and added a little more lemon zest. If you are preparing this recipe for less than 6 people you might want to cut recipe in half, unless you want leftovers. The recipe says it feeds 4-6. Using a whole pound of pasta, this recipe feeds at least 8, especially if you’re using it as a side dish. Bring 4 quarts of water to a boil in a dutch oven or large pot. Add 1 tablespoon salt and pasta to boiling water, cook stirring frequently until cooked al dente, about 7 minutes. Reserve 1 3/4 cups of the pasta water, drain pasta and set aside. Heat 1 tablespoon oil in the now empty pot over medium heat until oil is shimmering and hot. 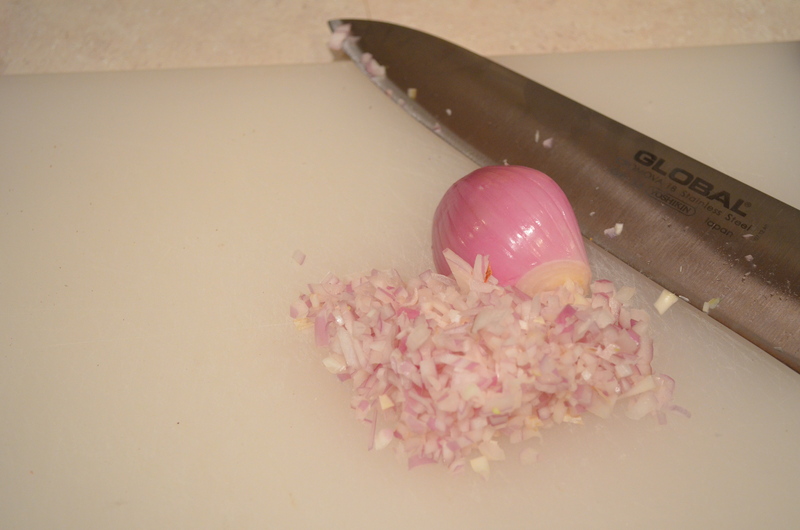 Add shallot and 1/2 teaspoon salt; cook until shallot is softened, about 2 minutes. 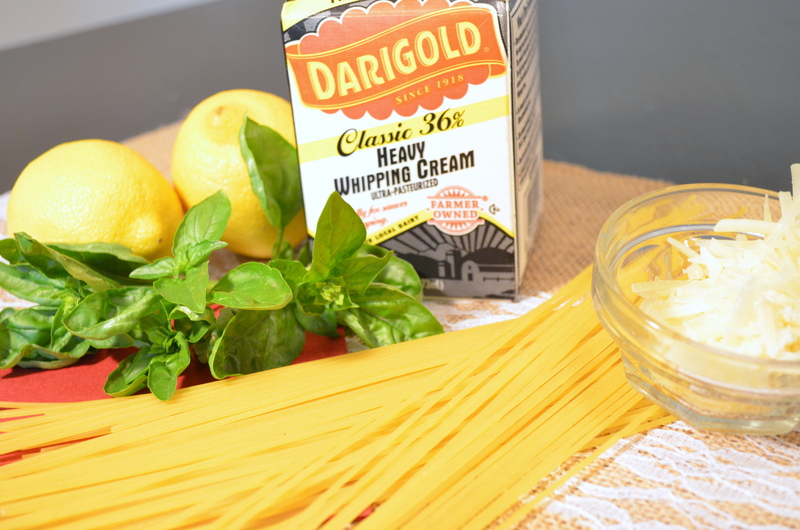 Whisk 1 1/2 cups of reserved pasta water and cream into pot. Bring to simmer and cook for 2 minutes. Remove pot from heat, return pasta to pot and stir until coated. 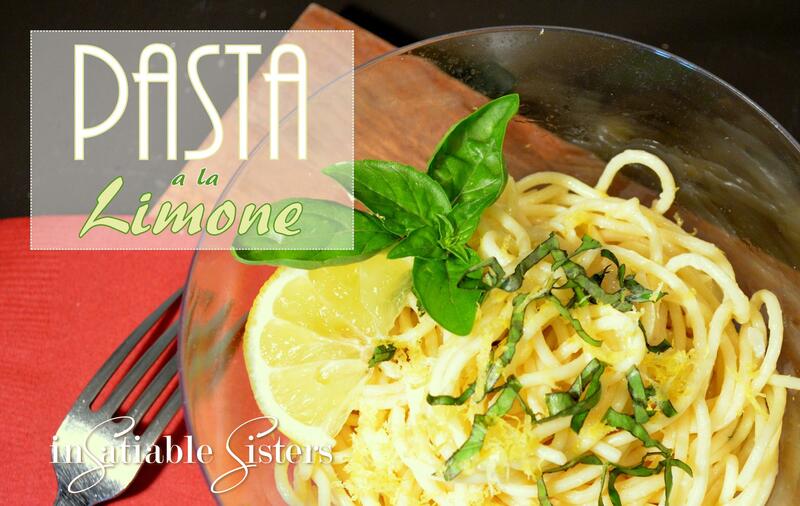 Stir in remaining 3 tablespoons of oil, lemon zest, lemon juice, cheese and 1/2 teaspoon black pepper. Cover and let pasta stand for 2 minutes, tossing frequently and adjusting consistency with remaining 1/4 pasta water if necessary. Stir in fresh basil and season with salt and pepper to taste. Serve, drizzling individual portion with oil, a sprinkle of cheese and a bit more basil. To me, nothing says Spring better than a sour, yellow lemon. I love how versatile they are, whether you’re adding some tang to your sweets or brightness to your savories, all the while keeping that distinctive lemony flavor. In a medium bowl, combine butter and sugar. Add the beaten eggs and stir until incorporated. Add lemon juice and zest, mix well. In a separate bowl, combine salt, flour, and baking powder. Sift flour mixture into lemon mixture and stir until smooth. Add milk and give one final stir until all ingredients are thoroughly combined. Pour into a well greased loaf pan and bake for about 1 hour 325 degrees, or until a toothpick inserted comes out clean. (I doubled the recipe and used my mini loaf stone, so I only baked for 50 minutes). Remove cooked loaves from pan and allow to cool completely before slicing. I actually prefer these the next day, after they have been wrapped over night. It gives the exterior a moist texture. Slice and serve!